What is Moto G voice command? Although Moto G does not have the prominent touchless control feature sported in Moto X, you can use your voice to control some functions of Moto G.
You can use Moto G voice command to call your contacts, sending emails, send messages, play your playlist, turn on/off WiFi and Bluetooth settings, and perform some other common tasks. Of course, Moto G voice command only understands pre-defined (built-in) commands. You cannot add more. The voice commands that Moto G can understand are listed below. To use them, you should replace the contents in ” ” for your needs. Call “Simon” ——-> Make a phone call to Simon if Simon is in your contact. You can use phone numbers directly instead of name, if the person is not in your contact. Send text “Simon” ——–> Send a text message to Simon if Simon is in your contact. You can use phone numbers directly instead of name, if the recipient is not in your contact. Send email “Simon” ——–> Send an email to Simon, who must be in your contact. Play “playlist 1” ——–> Play the playlist. You can also use the title. But this would be tricky. Go to “calendar” ———-> Starts the application. Redial ——–> Redial the last dialed number. Turn WiFi on ——–> Turn on WiFi. Turn Bluetooth on ——–> Turn on Bluetooth. Help ——–> Get voice command help. To use Moto G voice command, you need launch the voice command app in your app drawer. If you are using Bluetooth headset, you can press the call button to launch the app. Once the voice command app is launched, you can speak the command. You Moto G will pick up the voice command and perform corresponding tasks. You cannot add your own voice commands. Sometimes, Moto G voice command fails to do things you expected. The main reason is usually misunderstanding, i.e., Moto G does not recognize your command properly. You can train Moto G to understand your voice more accurately by going to Settings–Voice command settings > Adaptation. Any questions on Moto G voice command? Let us know in the comment box below. I just want to say this app is terrible. I would absolutely love to delete it from my phone. Is there any way to do that? Every time I have an aux or headset plugged in, it pops up every couple of seconds and I have to manually turn it off. It’s never one been useful. There must be some way to disable it? What’s exactly in the pop up window? Which generation of the Moto G are you referring to? I have been using offline voice command in moto g5 plus .but after updated it is not working..how i can access this again..
Are you referring to Google Assistant? I would like to reset and not use voice command. How do I reset? Use Google Now, which is available in all Moto phones. You just need to enable voice for Now and Search in Google settings. there isn’t a voice command setting in the settings on my android phone. what else do i look under? Use Google Now voice command on Moto G. You can enable OK Google detection on all pages in Google settings. What command did you use and what exactly is the error message? Not sure what you want to do. Can you use other voice commands? In Google Settings, you can enable/disable Bluetooth headset. Settings – apps – all – talkback. You can try to disable, then enable again. Check Google settings. You can find it in app drawer. If you are talking about talkback, you can deactivate it in settings – accessibility – talkback. hay….. i have got a moto g2 can i control my g2 same as moto x in voice comanddd….. can u suggest any app…. Google Now voice commands. It is already installed. You just open Google settings to configure it (search & Now–voice). When my brother uses the “OK google now” command it recognises his voice, sometimes, without needing to press the microphone. Why does this happen? You don’t need install any apps. it is part of Google Now, which is pre-installed in your phone. In All apps–Google settings, tap Search and Now – Voice– OK Google detection , choose “from any screen”. The follow the on-screen instructions. You need use Google Now voice if you want to use voice command even the phone screen is locked. In All apps–Google settings, tap Search and Now–Voice–“OK Google detection”, choose “from any screen”. I seem to need Internet access to use voice. Am I correct? For Google now, you can download the offline language lack. Do you mean it works with headset only? You can just use Google Now commands by speaking “OK Google”. The text cancelled notification usually means the phone fails to locate the contact. Please help me with the google launcher. It’s talk back voice has stopped working it listens to my commands and performs it but doesn’t talk back commands like it did for the first few days. Is there any way I could restart it or switch it on..I’m using a moto g2. I have an XT1045 (Moto G) LTE. When I try to install Voice Commands, Play tells me my phone is not eligible for app install. Forgive me. On my phone the app is now called Voice Search. The message is related to your mobile network. It is not a bug or problem on the phone. How do you turn the voice command setting off someone else got it started and I didn’t catch it now have no idea how to turn it off!!! You can just use Google voice search. It provides most functions you need. You can enable it in Google settings app. Google stopped setting my alarms. I would tell it to set my alarm and it did it automatically. Now it does not How can I fix this? Someone posted online that it is a flaw with an update? Can you help me? Yes, it seems there are some issues with setting alarm. After the command is taken, it seems now you have to manually confirm by tapping the set alarm. sir unfortunately i activated the voice command but now i dont need it .I need a normal setting what may i do? why does Moto g have the ‘ voice search from any screen ‘ option which cannot be selected ?? it is weird. Normally, it should allow you to check or uncheck it. Did you turn on anything on TalkBack under Settings–Accessibility? No , I didn’t switch on any settings in TalkBack related to Google now . Not sure what setting in your phone blocks this feature. Suggest any method which you think would work , I will try that . If it does not work, you probably have to try factory data reset. Please backup your data and all important info before resetting. Exists any way yo change my region and download the Voice Commands for my Moto G? It depends on the firmware which you cannot change. Anyway, Google Now had almost all these functions. You can try it. For the firmware, it depends on the model number of the phone. All future update follows its own track. It has nothing to do with the carrier or location you are using. Of course, some carriers may have a special model number for the phones, especially carrier-locked phones. You can always change the launcher at: Settings–Home if you have more than one launcher. Of course, you can uninstall Google Now launcher as well (just like a normal app). The original (pre-installed one) launcher cannot be uninstalled. Thanks for the help, i got other questions and i really appreciate if you could help me, the first is the RAM Memory, when i buy my Moto G it was very fast, after 4 months since i use my Moto G, when i start to use my phone after few hours without use, i could see after 1 minute the extended use of the RAM memory, now my phone got 380mb free and i’m using 11 basics functions as the Keyboard, the Motorola Services, Moto Care and others like Whatsapp and Outlook and is very strange to me to see the big quantity of the Ram memory that is using right now, my question is, exists any way to optimize my RAM memory? Make my phone more faster, maybe with 600mb free…Google Now Launcher is great but i have to uninstall by the slow problem when is running on my phone, is secure use the DU SpeedBooster? For the phone memory, you should NOT worry about the available RAM. Android is smart enough to manage the RAM. Don’t install such apps. Android caches certain apps and data in the RAM for fast loading. RAM that is not used is wasted. For KitKat 4.4.4, it is a minor update. I think Motorola will release it for your country. But I don’t know the time. it depends on many factors (local distributor, motorola…). For Android L, Motorola only promised it for Moto G 2nd Gen. But based on the track record of Motorola, Moto G first Gen will very likely get it. But of course, it will be later than Moot G 2nd Gen.
Powered button should always work. It’s a hardware implementation that software must response. If your power button doesn’t work, you may visit the service center to check the hardware. what is the advantage of buying moto g in flipcart,if we face issues after buying mns how we can rectify the issus????? The warranty should be provided Motorola and its authorized dealers. Did you try Google Now or the voice search? backup your data and perform a factory data reset (settings–backup and reset). Thanks Simon .. But its still the same. Not responding. Does it responds only in a silent room???? sir i want to buy a phone in the range of 15k to 17k, but i am not able to decide wheather to buy moto g or blackberry z10 . basically i use my phone for surfing the net, messaging, video streaming, reading books, listen to music and i am not that interested in games. suggest me with a phone to buy. The price of phones depends on local market. For these 2 phones, Moto G has better screen. The shortcomings of Moto G is that there is no external SD card support for non-LTE models. Anyway, for me, as an Android user, I will choose Moto G. If you need SD card support, you can get the newly released LTE model (but no dual sim support, and costs about $40 more). It’s very likely that the app is not available for your region / phone model. You can try Google Now, which covers most functions of voice command app. How can we activate the call waiting option on ? For Moto X, touchless control is an essential feature. SO it should be there. You may confirm with the local vendor. Cud you suggest another voice command assistant for motto g… Is Andy Good? And can I use it with Google now still being active? Will tat have touchless activation? Most of these apps can use together with Google now. Touchless control is an exclusive feature for Moto X. Moto G does not have the dedicated the always-on cores for it. Voice command is not tired to specific person’s voices. As long as the app understands the commands, it will act. I have a moto g phone, 2nd gen. The voice command works to search google but when I touch the microphone to use my voice for texting it does not work. My wife has the same phone and it works for her. We cannot find anything different in our regular settings or google settings. Can you help?? Did you get any messages when you issued voice commands? Most recorder can only recorder your voice for legal reasons. In some countries, it is illegal to record phone calls without getting permission from the other side. A few apps may work, but most of them need rooted phone. The app is not available in some regions. If it says it’s incompatible with your device or it needs pre-installed app, it means voice command is not available for your Moto G. You may try Google Now, which now supports more and more commands. 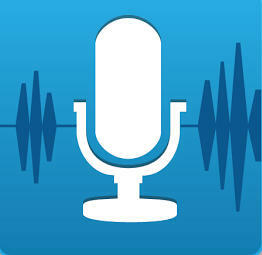 In the keyboard, tap the microphone icon and then you can use voice typing. Why does navigation bar becomes opaque when a third party wallpaper is set? I think you mean the notification bar (on the top of the screen). It should be transparent in KitKat 4.4. Is there any way to be able to get the touchless control feature on the Moto G just like in the Moto X? Probably not yet. The cpu used in moto g is not capable to do it. It will drain your moto g battery too fast. In moto X the touchless control is implemented through a lot power cpu core. Thank you and also, does the moto x use a dual core or an octa core processor? Moto X actually uses quad-core. But comparing to Moto G, it has two additional lower power cores for touchless control and other always-on features. X8 means these 6 cores plus 2 gpu cores. In my MotoG i could find the mic icon on the keyboard pad when typing text, And i could input the text by voice. But unfortunately now the icon doesn’t appear now. I can see it when i hold the coma key near the space-bar. Anybody know how to get the record key on the keyboeard back and function? Did you check Settings > Language & input? To make sure Google voice typing is enabled. Probably not, as I know. I activated the voice command on my moto g but i am not able to view the next pages of apps (settings etc) how do i do it ? It is unlikely caused by voice command. Now you are making me worry. As i’ve already ordered moto g and will have it delivered by wednesday. I should’ve waited. You can always get some third party apps for such functions. Also, Google Now can do a lot as well. hi sir. Am planning to buy moto g. But recently i got to know about moto e. It has 4gb internal memory but can be expanded. Considering the space OS consumes, will it be worthy to buy moto e instead of moto g ? As i think kitkat does not allow installation of apps in external memory..
Moto E is still a rumor. Anyway, we will know this in the May 13 event. Moto E is rumored as a low-end product. this means it may be not as fluid as Moto G.
Yes, lacking of SD card slot really drive many potential Moto G buyers away. KitKat only implements more strict access controls for external storage. But vendors can still allow apps in SD card. It all depends on manufacturer. If Moto E has only 4GB internal storage, it will very likely allow apps in external storage. Hello sir I have a moto g android version 4.4.2 when I try to download voice commands from play store it shows your device is not compatible with your version. What should I do? This usually means this feature was disabled in your region for some reasons. You have to use other alternatives. If the local distributor or carrier advertise this feature, you may check with them. yeah man same prob here. what to do dude. You can just use Google Now. How do I install voice control on the US Verizon version of the moto g? Just go to play store, then search Motorola voice commands. Install it as a normal app. Probably this feature is disabled in your firmware and this is the reason why the app is classified as incompatible with your phone. I have no other info on this. Touchless control is not available for Moto G. It is mainly for Moto X. Very likely, the feature was removed in your region. Carriers or distributors may ask for removal of some features. So what’s really the difference between some of these voice command apps and touchless control of Moto X? Is this difference really worth the additional $180 (the difference between Moto X and Moto G)? The difference is not just the touchless control. Moto X also has better hardware. It also supports 4G LTE. One thing missed in Moto X is the FM radio, which is available in Moto G.
The gimmick of touchless control is its “always on”. For non Google Now commands, you even do not need to unlock the phone. If Moto X is available in your region and you have enough budget, Moto X surely is a better choice. Any, Moto G is really nice phone and gives the best value for your money in its price range. When you say “unlock your phone” is that just pressing the power button or is the swipe needed as well? For Moto Voice (touchless control), it is not necessary to touch any buttons (i.e., screen is off and locked). Google Now now also has this feature if you turn OK Google detection on all pages. In some regions, the warranty is covered by the distributor. You can check with the local vendor where you can get services when you need them. Moto G probably gives the best value for your money on a smartphone. But you should understand the limitations, e.g., no SD card slot, no 4g LTE. I Have moto g KitKat 4.4.2. in play store it shows that my device is not compatible. what should I do? The voice command is not available for your region. You may try other third-party voice command apps for your moto g.
When I try to download the App in Play store, I receive the message “This app is incompatible with all of your devices. Did you try to access the app from your Play store in your phone? Please don’t access play store from browser. Did this happen to all apps or just some apps? you can then have to try Google Now voice command. tell me the best voice command app for moto g…? Actually Google Now can do a lot now. Speaktoit Assistant used to be an excellent one (and it is free). But it seems it drains more battery in KitKat. Hello Thanks for help….this works but is very slow to react…. If you exit the app, it will not disturb you. Anyway, you can disable the app from app manager (Settings–App), if you do not want to use it at all. I cant slid the page to go to settings. What did you get off you swipe down from the status bar (top of the screen)? What did you get if you swipe down with two fingers? I have the offline voice recognition pack downloaded but all Google now allows me to do offline is call “simon”. Although when texting I can say the contents of the text offline but I can’t use Google now for anything else like setting up alarms…it says that it can’t connect to Goole. Not all commands can be executed when offline. When calendar or email involved, you must be online. For voice typing, you do not need Internet. Hello sir i am from india and i have purchased this new moto g and when i go through ur link then it shows that it is not compatible with ur device and my another problem is that i don’t know how to sort my icons in aaaaaaaa….menu. Maybe it is not compatible with your firmware. You can try to check update on your Moto G first. This app probably is not available for your Moto G. It requires some components in the firmware.